يقع فندق Boutique Motel، المصمم ليناسب كل الضيوف سواء كانوا من رجال الأعمال أو السياح، في مكان ممتاز في أحد أكثر المناطق تفضيلاً في Stoke. يمكن من هنا للضيوف الاستمتاع بسهولة الوصول إلى كل ما تقدمه هذه المدينة النابضة بالحياة. يضفي محيط الفندق اللطيف وقربه من ‪Broadgreen Historic House‬, Nelson Airport, متحف عالم المرتديات والسيارات الكلاسيكية سحراً خاصاً على هذا الفندق. استمتع بالخدمات الراقية والضيافة التي لا مثيل لها بهذا الفندق في نيلسون. هذه بعض الخدمات الموجودة في هذا الفندق: واي فاي مجاني في جميع الغرف, خدمة التنظيف يوميًا, مجهز لذوي الإحتياجات الخاصة, مرافق مخصصة لذوي الاحتياجات الخاصة, تخزين الأمتعة. تنعكس أجواء Boutique Motel في غرف الضيوف.تلفزيون بشاشة مسطحة, سجاد, بياضات, مناشف, إغلاق هي بعض الميزات الموجود في العديد من الغرف. يقدم الفندق العديد من الفرص للاستجمام كمثل مسار جولف - ضمن 3 كم, ملعب تنس, حديقة. يحظى فندق Boutique Motel بموقع ممتاز وخدمات يصعب منافستها. Very clean and tidy room. Good location. Handy to shops etc. Friendly owners. I was traveling around the South Island and departing from the Nelson Airport. This motel location is ideal proximity of the airport. I was able to drop my rental car off and catch the shuttle to the terminal easily. The room provided all I needed. The bed was super comfortable, clean. There was no breakfast in the morning, which I kind of wish there were something. But it suffices my needs and there was food at the terminal. 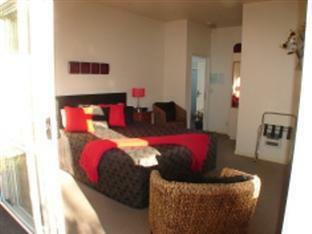 I’d definitely recommend the Boutique Motel for travelers- solo, couples, business travelers. The staff were really nice and friendly and so welcoming and helpful. We were a group of 5 senior citizens visiting Nelson. We loved our stay at Boutique Motel. It more than met our expectations. Gary and his wife provided useful advice about how we could make best use of our time in the Charming town of Nelson. The friendly welcome and the attention to details made our stay most comfortable. A excellent place to be for the night. The room was clean & tidy with a super comfy bed. Supermarkets across the road for supplies. Kitchen and bathroom were fully stocked. Staff was available for all our needs. Stayed for 3 nights, smaller sized room, but had everything we needed. Could get really hot in the room during summer. A little far from down-town Nelson so a car is a must. There is shopping area close by. The owners were very friendly and helpful. 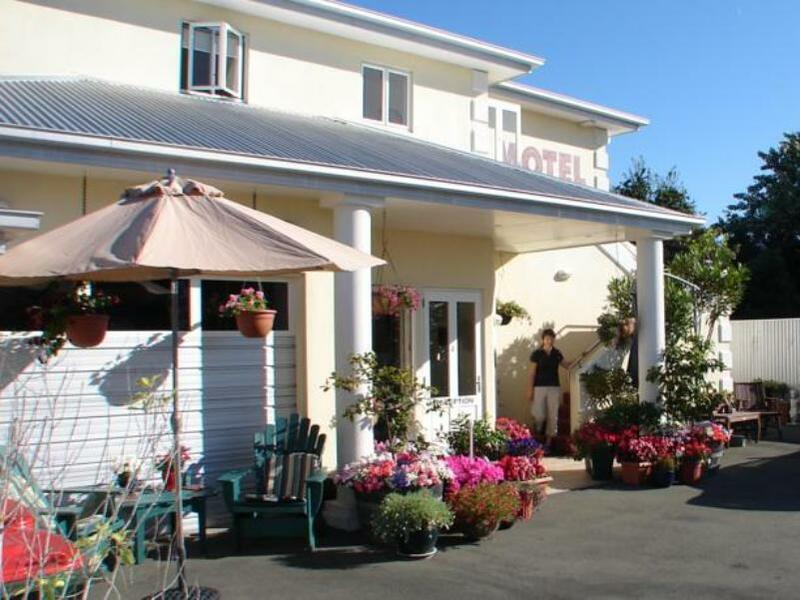 Motel in good location, 10 min drive to Nelson town and one hour drive to Abel Tasman Bay for all activities. Stayed in studio room. Small but clean and comfortable. Small kitchen with microwave and dishes but no cooking facilities. Laundry on site, free internet. No complaints at all about the Boutique Motel, apart from location and bed was a bit too soft for my liking. 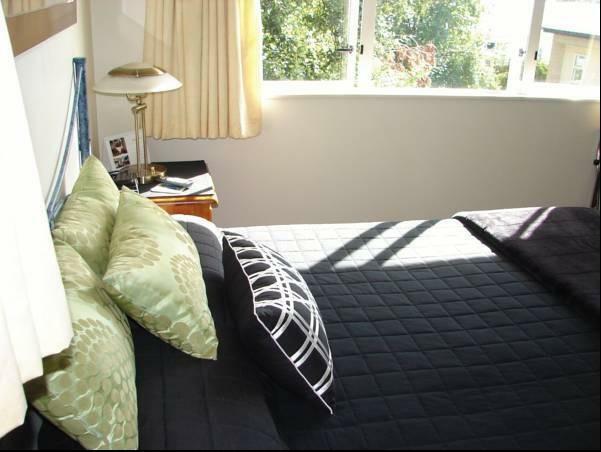 The rooms are clean and good value and the owner is very helpful and friendly, so all round good service. Ok if you have a car, but if you are traveling without a car its a bit difficult to access Nelson city and the surrounds. Taxis are very expensive and local buses irregular. Good access to local shops, but away from nice cafes of Nelson city. Very clean room, small but had every thing you needed,nice and quite at night. Close to Nelson but also close to Abel Tasman area,what is a must to visit. Sehr nette Gastgeber. Unheimlich bemüht und hilfsbereit bei jeder Frage. Sehr gemütliches Zimmer und sehr sauber! Wir haben uns sehr wohl gefühlt und noch eine Nacht verlängert. alles bestens!nelson, arbeit island, abel tasman. von stoße aus können viele aktivitäten unternommen werden. liegt ist nu einige kilometer entfernt und abel tasman liegt quasi vor der haustür. in der nachbarschaft gibt es einen supermarkt und möglichkeiten, in diversen lokalen zu speisen. wir haben uns sehr wohl gefühlt.